Steve Corkran will file something later for the print edition, but the 49ers and Raiders are no closer to a shared stadium today than they were when commissioner Roger Goodell supported the idea back on Oct. 10 when he attended the Raiders-Seahawks game at the Coliseum after being invited by CEO Amy Trask. Trask and 49ers president Jed York, attending a Football 101 seminar in Los Angeles, spoke to the San Francisco Chronicle and were both open to any solution that would bring new facilities to their respective teams _ including sharing a stadium. Trask has been pretty consistent in her public statements on the issue _ there is no idea that isn’t worth exploring. “There is no short answer, and I’m not trying to be cute with you. We’re having ongoing discussions about the stadium opportunities. We’re working very, very cooperatively with the city and with the local officials. We’ve been extolling the virtues of this site for a quite awhile now. It was a year and a half, 18 months, give or take, maybe more, just under, but about a year and a half ago that I started talking about this site and using a new-stadium on this site as an opportunity to revitalize the whole area. “Why not, rather than look simply look at the stadium project, look at how one can use a stadium as an anchor for, or a catalyst for, an urban redevelopment that provides economic stimulus for the whole region? You guys know as well as I do that this site is centrally located, it’s tremendously well-served by public transportation. There’s stadiums and facilities all over the country where they’re trying to figure out, how do we get subways or trains to come to our stadium? We’ve got BART. We’ve got Amtrak, the capitol corridor, the ACE train. Trask stopped there when former coach Tom Cable entered the room for his post game press conference. The bottom line is if the Raiders are going to remain in Northern California, their best case scenario is remaining in Oakland and the East Bay. The 49ers at present are attempting to secure finding for their Santa Clara project. The 49ers would probably be open to the Raiders sharing “their” stadium if it meant finishing the project. The Raiders would probably be open to the 49ers sharing “their” stadium if it meant the difference in building on the Coliseum site. But for one team to move essentially move in to the territory of the other, I don’t see it happening. It appears there was no vote by the players today with regard to the lockout. It’s been a torturous process, but I’d still be surprised if training camp didn’t start somewhere near on time. Things will pick up considerably in this space when an agreement is reached, with some changes I’ll get into at the appropriate time. Players looking for less contact? In with Dell’s league as well. I think it is even more loaded-up for QB’s this year. It looks like we may have to establish teams, so if two or more select the same player please name your team. This will be the first annual BHP “Oakland Raiders Underdog MVP” award kickoff. Owners voted 31-0 with the RAIDERS abstaining! T’pin it just makes no sense to do that I’m curious what was the thought process behind it. I guess he knows the thing would go through regardless but it puts him in a rogue situation again. There might be something up their sleeve in regards to future moves……………I guess. Drank if that’s it, that’s it. According to NFL Network, the owners voted 31-0 to approve the settlement, with the Oakland Raiders abstaining. Can Raider camp open the 26th, still ???? That is up for the players to decide. Al had his chance to get his name in the paper, and he took it. Priest I vote for Barksdale. None of this means the players definitely will accept the proposal and agree to reformulate the union by Tuesday, July 26. The conference call involving the members of the NFLPA* Executive Committee and the board of player representatives begins at 8:00 p.m. ET. If the players accept tonite, can the Raiders still open tuesday the 26th? Who’s gonna vote B. Camp? Al’s maverick gesture today is sure to sell at least 20 or so season ticket accounts. No deal tonight. Not looking good for a new CBA, unless a miracle happens. Marios selects ; Barksdale (interesting)! Lefty12 and Jhill you guys got a name for your team? » An agreement that covers the 2011 through 2020 seasons, including the 2021 draft. » Reducing the offseason program by five weeks and reducing OTAs from 14 to 10; limiting full-contact practices in the preseason and regular season, and increasing number of days off for players. » Rookie wage scale to include four-year contracts for all drafted players (option for five years on first-rounders), three-year contracts for undrafted free agents, and strong anti-holdout rules. » Creation of a new fund to redistribute, beginning in 2012, savings from new rookie pay system to current and retired player benefits and a veteran player performance pool. » Unrestricted free agency for players after four accrued seasons; restricted free agency for players with three accrued seasons. » Over the next 10 years, additional funding for retiree benefits between $900 million and $1 billion. The largest single amount, $620 million, will be used for a new “Legacy Fund,” which will be devoted to increasing pensions for pre-1993 retirees. » Salary cap plus benefits of $142.4 million per club in 2011 and at least that amount in 2012 and 2013. Still no word as to why Oakland abstained? Usually parties only abstain when there is a conflict of interest (for instance Smith was AD’s nephew or something) – otherwise they gotta say yay or nay, right? I’m glad the NFL decided to look out for their retirees. I’m a fan of the sport, not just the current players. Maybe they voted after Coach Davis’ bedtime? I don’t think TK should be considered an underdog, nor Chaz. If you don’t mind, BHP, I would like to chose B-Camp instead. It goes better with the spirit of this “game”. Priest, i’m going with L. Houston. Raider Underdog for 2011 is 34mm. Scott Hanson and Albert Breer of the NFL Network are reporting that the NFL owners have voted to ratify the settlement terms of the litigation that would be the first step in bringing forth a new agreement. The vote took place just before 7 p.m. 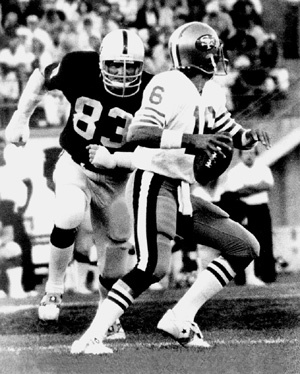 ET on Thursday, and the NFL Network’s Rich Eisen reports that the vote was 31-0, with the Oakland Raiders abstaining. was Al even able to make the trip to Atlanta, therefore Al was not going to let anyone else make this vote for him. and/or out of respect for the late and great Gene Upshaw, Al did not vote as it was not needed. Hopefully, Jerry is typing up an explanation as we speak. It’s hard to tell if KK is jokin or telling the truth. But I agree, if Stevie gets some playing time he might turn some heads. I’ve been rootin’ for him since he made the squad then didn’t make the squad then he was back on the roster. 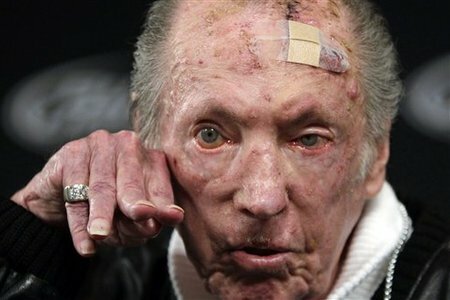 Al Davis has called a news conference to explain why he abstained in the voting. He is going to use his overhead projector and laser pointer to illuminate his decision making process. PFT reported it via Amy. I bet all the litigation between Coach Davis and the NFL created the conflict of interest. Remember, Davis sued the NFL for trying not to let the Raiders move to LA in the first place – Now the league is begging for a team in LA.